A pan head brass machine screw is mostly used to fasten heavy-duty machine parts, and therefore, choosing the right kind of fastener is always crucial. A wrong choice may either alter the functionality of the machine or even create any risk in the long run. 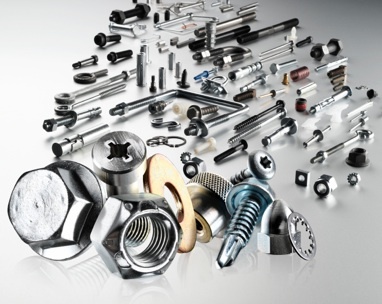 The dimension and thickness of these machine fasteners are the preliminary factors to be considered, while purchasing. It’s highly important to check-out the length and even the thickness, so that they should be long enough to fasten various machine parts and keep them intact. These special kinds of screws are available in various materials and compositions in the market, such as stainless steel, steel, brass and nylon, and accordingly, these are used as per the requirements. Besides, various machines screws feature different head shapes, such as Phillips head, slotted head etc. And thus, you will also require different types of drill and screwdrivers, which are suitable for these fasteners. Plus, these also come with pan, hex and flat heads. Difference between pan head screws and pan head bolts is that the pan head screws do not have to feature a bolt thread specification, so as to accept a non-tapered nut. While choosing pan head brass machine screws, you should also determine about the pieces, you’re willing to join together. By determining the length of the pieces, the length of those screws should be chosen. Apart from considering the thickness, head type and dimension, you should now check-out how much stress the machine parts are going to encounter, when they’ll be used. Therefore, you should always go for screws, which are slightly longer than the adjoining pieces, so as to ensure that a nut can be easily placed on the other end of the rivet to adhere them. A machine screw is composed of various materials. Most of the ingredients are made from metals, including brass, steel and copper and also features nylon and plastic and thus each type features definite strength, magnetic and rust resistance and durability. You should therefore, select rivets considering their composition and your requirements. In the same way, screwdrivers or drills are chosen accordingly, which are suitable for your chosen screws. You can always take the help of online experts in case youre facing any difficulty in selecting a definite design to get your job done.